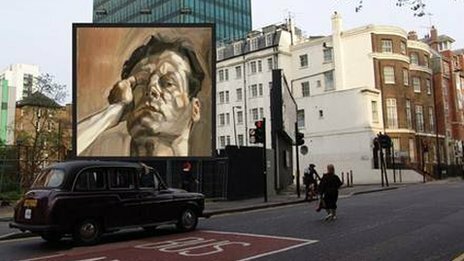 The UK is set to become the 'world's largest outdoor gallery' this summer as art will be on display across tens of thousands of billboards up and down the country. A new project supported by The Art Fund and Tate plans to transform up to 15,000 poster sites and billboards across the UK into the ‘world’s largest outdoor gallery’. For two weeks in August, Art Everywhere plans to display huge reproductions of some of the nation’s most seminal artworks from the likes of Constable, Hockney and Hirst. The organisers hope to fund the final stage of the project through public donations. They aim to crowd-fund up to £200,000 to pay for the printing of the posters. Those donating £3, which will pay for one poster, will receive a downloadable image by the artist Bob and Roberta Smith. For those willing to chip in more there are gifts ranging from badges and tote bags, to t-shirts and limited edition posters, all designed by the artist. For £450, patrons will be able to get hold of an actual billboard-sized poster of an artwork. Members of the public will be asked to vote for the final top 50 artworks to be displayed once the organisers launch the shortlist of images on 24 June, compiled by a panel of artists and curators. Once the exhibition is live in August, an app will also be released that will enable people to use their smart phone to get more information about the artworks they see in the street. The project is the idea of the Reed Page Foundation – the charity set up and supported by Richard Reed, the co-founder of Innocent Drinks, and his wife Melinda Page. As well as being backed by The Art Fund and Tate it also has support from numerous artists and companies.